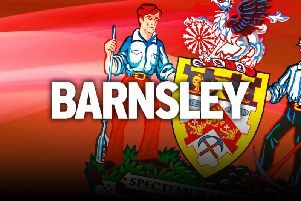 Barnsley head coach Daniel Stendel believes defender Liam Lindsay will learn from his costly mistake in the 1-0 defeat at Burnley on Saturday. The Reds matched their Premier League opponents and were minutes away from securing an FA Cup third-round replay at Oakwell. But Lindsay produced an uncharacteristic tackle in the box and Matej Vydra went down, leaving referee Simon Hooper with no option but to award a penalty. And former Leeds striker Chris Wood, whose late substitution was met by boos from the away end at Turf Moor, stepped up to score his third goal in as many games from the spot. The late blow broke Barnsley hearts following an impressive display against a side two divisions higher, but Stendel believes Lindsay will be better for the chastening experience. “I think everyone played very well," Stendel said. "Normally, he [Lindsay] doesn’t tackle in that situation, he would just run and block the ball, then we have a replay. "He knows himself and he was the most disappointed in the dressing room. It’s an experience for him, not the best one, but it’s an experience, he will learn from this. Barnsley arrived in Lancashire full of confidence following a five-match unbeaten run against fellow League One promotion rivals over the busy festive period. And their display against Burnley showed that as they expressed themselves from the off, even having a goal disallowed in the first half as Cameron McGeehan was adjudged to be offside. The Video Assistant Referee came to the Tykes' rescue in the 20th minute, overturning a penalty awarded to Burnley after Vydra went down, but Stendel felt on the whole his side were good value for a draw. “I think the performance was good," added Stendel, whose side face a huge Yorkshire derby against Bradford on Saturday. "After the first 10 minutes we did well in the game, we had good combinations and some chances. I think in the last 20 minutes, nobody in the stadium thought we’d lose the game. "It’s very disappointing, for Liam [Lindsay] and for all the squad."